Get rid of insects naturally with this 1-kilogram package of diatomaceous earth from Peru. 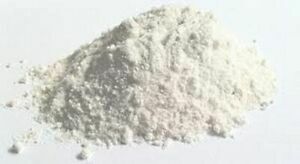 This fine, white powder is eighty percent silica and works to kill insects by absorbing lipids from their exoskeleton while dehydrating them in the process. It's also effective against slugs and other gastropods. This is a food-grade natural insecticide and will not contaminate your fruits and vegetables. In fact, it will actually help by removing toxins.